Spotify says they are ready to IPO. With $5 billion in revenue and 71 million paying users, the numbers definitely say they are. But potential investors need to look not just at the money the company is making but also at the money it is leaving on the table. 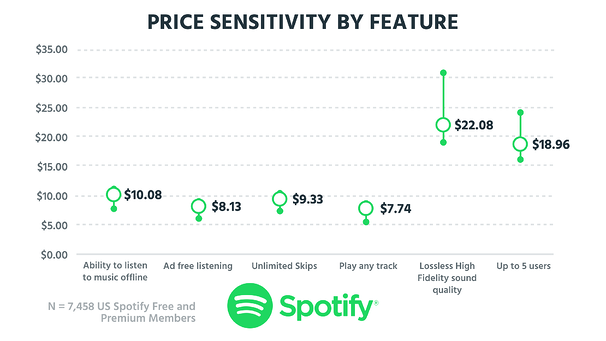 In this edition of Pricing Page Teardown, Patrick and Peter show that while Spotify's pricing might seem spot on, that single number is hiding a bigger issue. Concentrating on acquiring customers in the crowded streaming music market has meant that Spotify is missing out on monetization opportunities. While this might not matter now, if they want to sustain their growth, monetization matters. There is a paradox in Spotify's pricing. Almost all of it is wrong, yet the final number is pretty much spot on. What's weird about this is that this range is much, much wider than what we typically see for a product. There are a lot of people pulling down this particular range, and there are a lot of people pulling this up. The data show that the Student Plan is missing its mark. Students can get Spotify (and Hulu) for $4.99/month. That is a great price for access to more than 30 million songs. Most students are under 25, yet these customers are willing to pay double their current pricing. Again, this is a pure acquisition and retention strategy. Spotify knows that people will probably sign up for only one music-streaming service. By getting customers when they're young and then activating them on the service, they'll be less likely to churn and move to Apple, Tidal, or Prime when they graduate and the price gets bumped up. This is fascinating to me. This is us. We grew up not paying for music. We grew up with Napster, Kazaa, LimeWire. Basically, we have this hole in our generation where we are the only generation unwilling to pay for music. The only one in the history of existence. Younger generations have grown up with Spotify et al., so they are willing to pay for music. Older generations grew up with music clubs and vinyl records, so they are willing to pay for music. 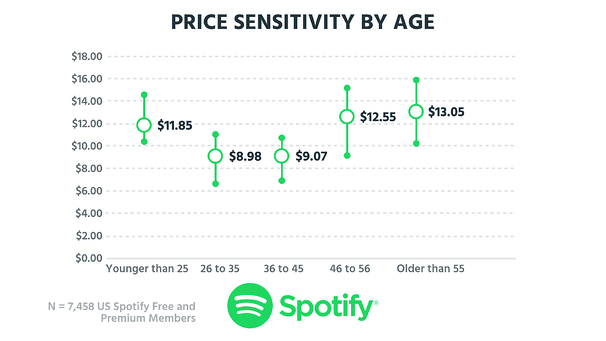 It is these 26- to 45-year-olds who have forced Spotify to pull down their pricing. We have to take some of the blame for Spotify's low pricing. Sorry, Spotify. 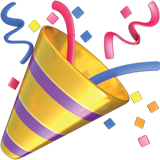 The price for the Spotify Premium Plan is $9.99/month. The Spotify Family Plan allows five users to access a single account for $14.99. This makes the Family Plan an absolute steal. And Spotify customers agree. The median willingness to pay for multiple users is $4 above the current price point. The lower bound for the range is higher than the current price point. This means nobody thinks Spotify should be priced so low. As a result, while Premium ARPU declined by 9% from 2015 to 2016 and 14% from 2016 to 2017, in part due to the launch of the Family Plan in 2016, Premium Churn declined by 1.1% from 7.7% in 2015 to 6.6% in 2016 and declined by an additional 1.1% from 6.6% in 2016 to 5.5% in 2017. With the growth in higher retention products, such as our Family Plan and Student Plan, we believe these trends will continue in the future. So why do they do it? They are concentrating on only two of the three pillars of growth—acquisition and retention. The low price point brings people in and, as the F-1 filing also shows, the Family Plan is helping to reduce churn at Spotify. But by focusing on acquisition and retention, they are missing monetization. 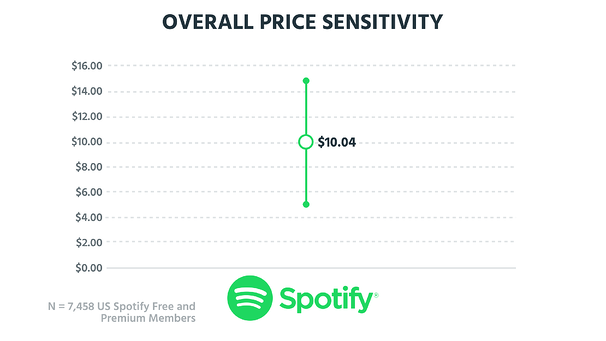 With a median willingness to pay $4 above their price point at the moment, Spotify could increase the plan price from $14.99 to $18.99 (or, even better, $19.99) without impacting churn. This could increase ARPU by 10–20 percent in one stroke. With such a massive customer base, such an ARPU increase would be a massive revenue boon. Lossless sound quality isn't even a current option. Yet Spotify could spin this off into a unique offering and massively increase ARPU. 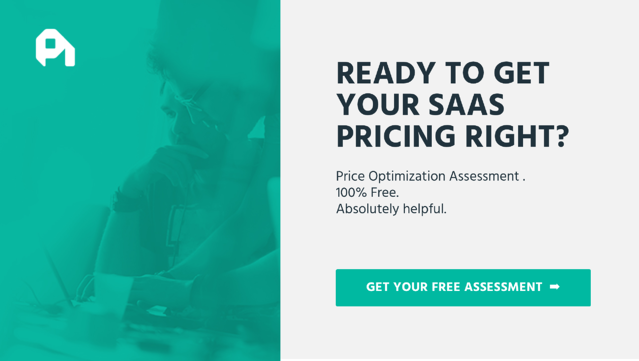 The WTP for this feature is 2X the current pricing. 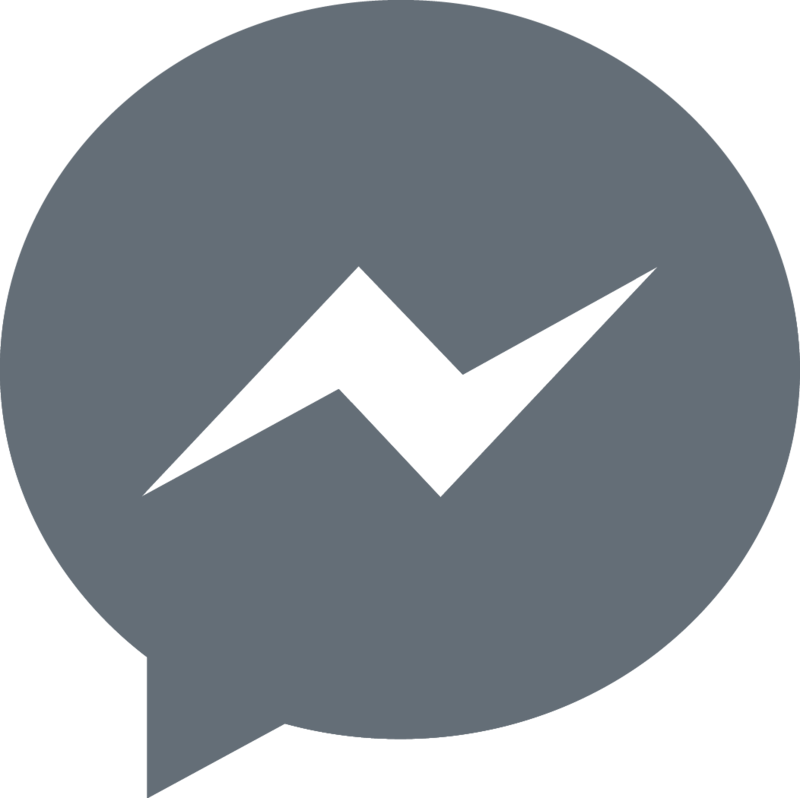 The customers who care about this are a low percentage of the overall customer base, but with such a massive base, this is still a significant revenue opportunity. Spotify has gone strong on acquisition. With rivals entering the market, the company also has to think about retention constantly. Both of these factors are keeping pricing low. But eventually, acquisition will become more costly, and that is when you need to bring a strong monetization strategy to bear. At the moment, Spotify doesn't have one. With the IPO approaching becomes a bigger issue as once public, pricing changes are slower and harder. What frustrates me is there is a huge opportunity here. I think that because they have kept the pricing so simple and they haven't really experimented with it as much as they possibly should, they are missing out. A lack of experimentation means that they have wedded themselves to a single price point and all revenue is attached to that. If they open up to the idea of trying new pricing tiers, such as with lossless quality, or raising prices to match willingness to pay, such as with the Family Plan, they could be in a position to dramatically increase their revenue for almost no extra effort. But with the IPO coming, that experimental phase might have passed them by.